Explanation: Today's solstice, the astronomical beginning of summer in the north, is at 23:09 UT when the Sun reaches the northernmost declination in its yearly trek through planet Earth's sky. While most in the northern hemisphere will experience the longest day of the year, for some the Sun won't set at all, still standing just above the horizon at midnight as far south as about 66.6 degrees northern latitude. Of course, as summer comes to the north the midnight Sun comes earlier to higher latitudes. 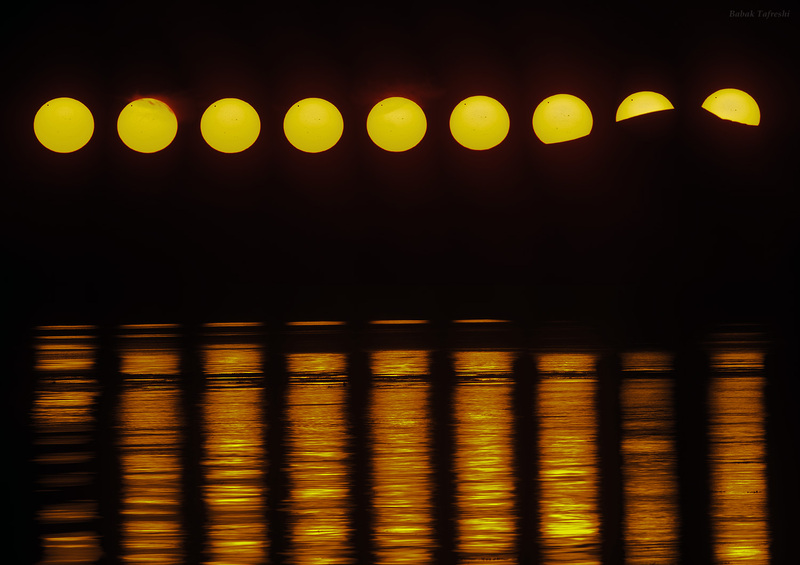 Recorded near midnight, this time series from June 6 follows the Sun gliding above a mountainous horizon from a latitude of 69 degrees north. The remarkable scene looks north over the Norwegian Sea from Sortland, Norway. 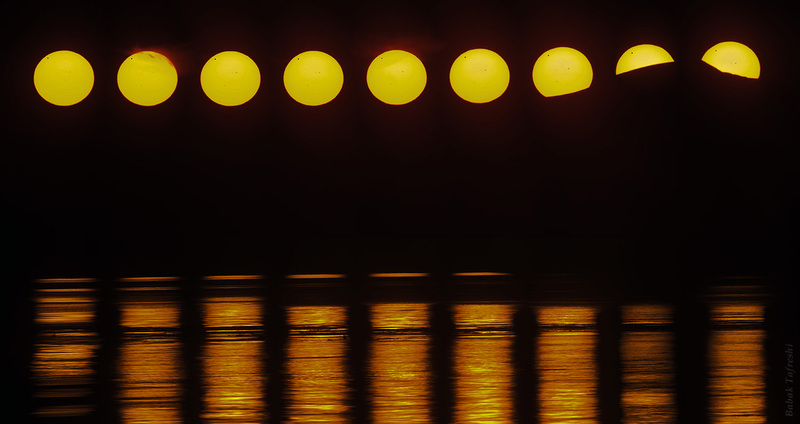 The 2012 transit of Venus is already in progress, with Earth's sister planet in silhouette at the upper left against the bright disk of the midnight Sun.